Vancouver Medispa is a medical aesthetic treatment clinic. They continuously innovate by embracing the most up to date advancements in medical aesthetic procedures. Vancouver Medispa wanted raise their brand awareness and drive their sales. We paired four of our influencers with Vancouver Medispa. Each influencer filled one of the niche markets that the client wanted to target in Vancouver; beauty, fashion & lifestyle. 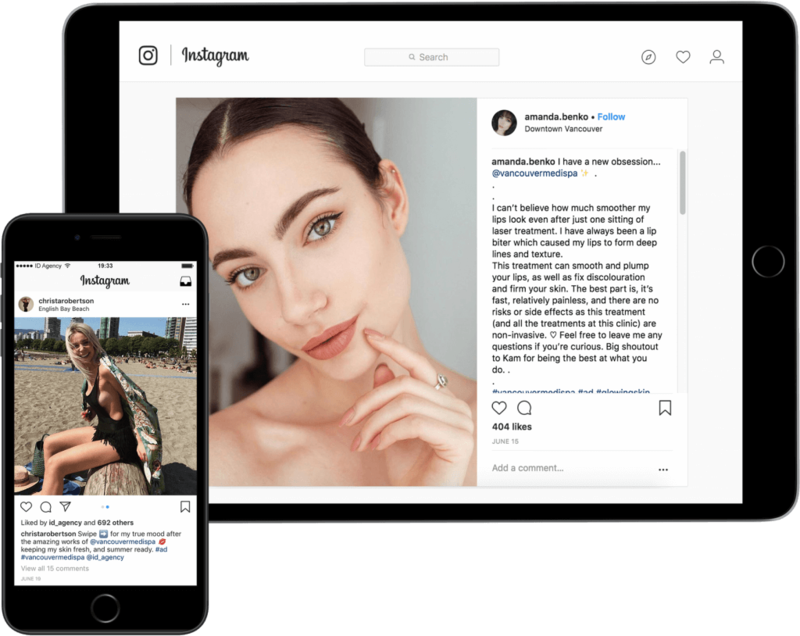 Each influencer received treatment from Medispa, they created personalized Instagram stories about their experience with the procedures they underwent. They also posted a photo to Instagram showing the results. Each piece of content they created tagged Vancouver Medispa. The client was able to repurpose all the stories & photos on their own social platforms.